On the following weekend, Amit and myself went to Mumbai and met up with two of our old classmates, Mouli and Kartikeyan (Dil, for the people who know us closer). It was great to catch up with my old buddies and travel with them after a gap of about 6 years. Not wanting to waste the opportunity, all of us braved the inclement monsoon weather and decided to put a day trip to Murud-Janjeera. Janjeera fort is built in a pretty interesting setting, on an island out in the Arabian sea, 2 kms from the nearest coast. It is situated 165 kms and more importantly 6 bumpy hours south of Mumbai. The fortress, popularly known as the "unconquerable", withstood the efforts of Sivaji, Sambhaji, Portuguese and the British to conquer it. It was functional up until 1972 when the final 70 odd families relocated to the mainland handing over the fort to the Indian government. It was surprising to know that the fort was actually built and used by Abyssinian merchants who ruled over 3 villages and 3 taluks on the mainland. The fact clearly proves that apart from primates and martians, every other sect of bipeds had control over some part of India sometime in her chequered history. For the trivia buffs, the fort is built on 22 acres of land over 22 years and houses 22 strong watchtowers carrying some of the strongest cannons of its times. The strength of these weapons can be realised from looking at the nearby ruined fort of Samabaji, ruined mainly by the cannons of Janjeera. The incessant rains miraculously stayed away for two hours to give us just enough time to visit the fort in peace. On the following day, myself, Fids and Dil continued our island hopping by visiting the Elephanta Caves. Unlike Ajanta and Ellora, Elephanta houses only one rock-cut cave temple worth visiting. What it lacks in quantity, it more than makes it up in quality. 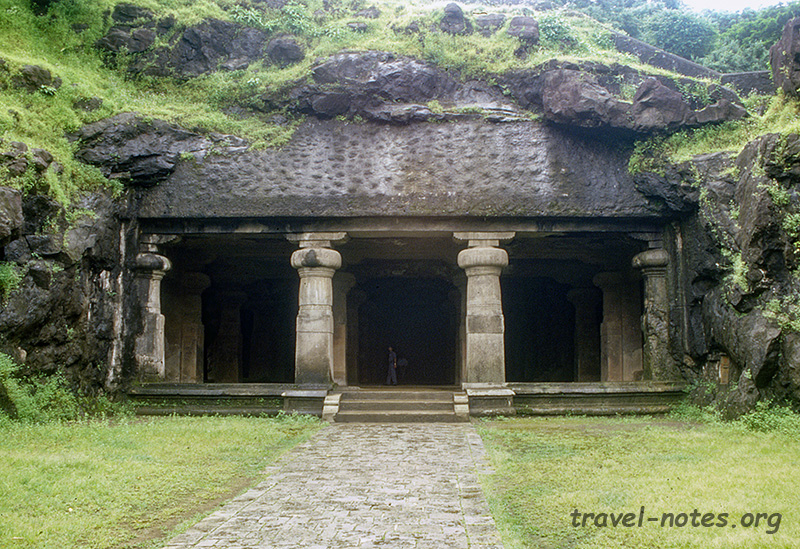 Elephanta caves, situated on an island, is one hour by boat from the mainland. The temple, dedicated to Siva, contains wonderful larger than life relief from hindu mythology. The main idol of the shrine is one of the most stunning piece of architecture ever carved by humans. It is a five headed image of siva of which only three visible to mere mortals. Each of the visible three depict Siva in different moods. The centre figure has a striking resemblance to Buddha statues seen elsewhere in the region, an obvious attempt to woo the people back into Hinduism. 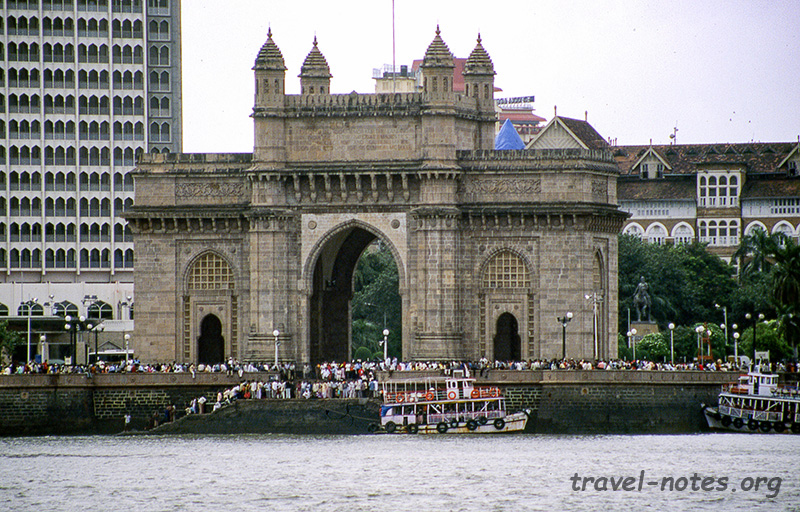 The elephant statues which gave the island its name is currently housed in one of Mumbai's museums. The island also houses a couple of Portuguese cannons, placed there to attack the invaders of the mainland. Again we were lucky with the weather. This time around I knew luck extended to more serious matters when we learnt that the bomb blasts occurred the following day around the location we had boarded our boat to the island! 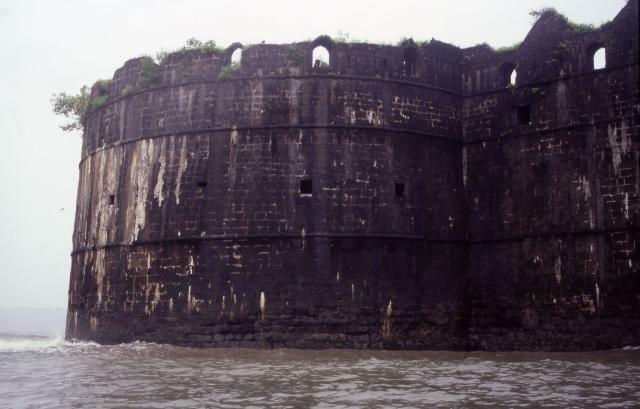 Click here for more photos of some of Maharashtra's forts. Click here for more photos from Elephanta Caves.